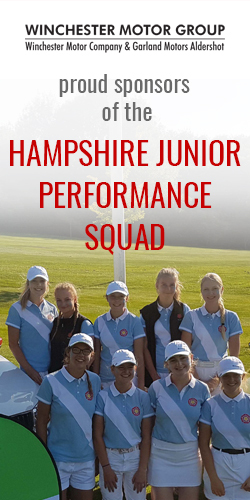 On a slightly overcast early May morning, 100 ladies gathered at the beautifully laid out Blackmoor GC for the first ladies’ event of the HLCGA season. James Norris and his greenkeeping team had prepared the fairways and greens to a very high standard but windy conditions and the rough made playing conditions challenging. Many putts lipped out and greens were immaculate but tricky. There were a few “sorries” heard around the course but then that is the nature of Foursomes! However, the smiles on faces indicated that the day was a huge success and extremely enjoyable. The newly designed dining room just added to the spirit of the day and chefs James and Alex served up a truly superb meal. Our grateful thanks to all the staff and ladies for their help and hospitality throughout the day. The senior men helped ball spot and Mike Cave and Bob Shergold were enthusiastic starters. 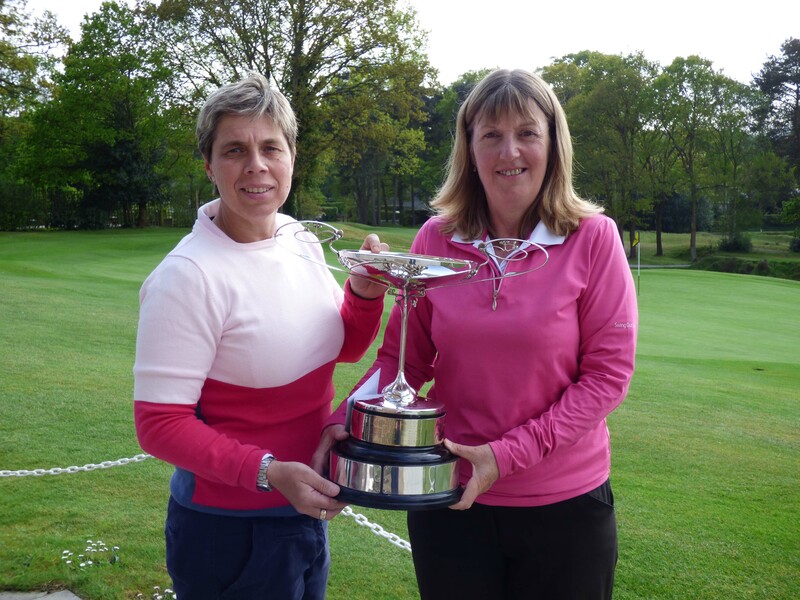 We went 21st century with rolling results on the screen and it proved tight at the top but for the 3rd consecutive year, Kerry Smith (Waterlooville) and Diane Oram (Basingstoke) managed to hold on to the title with a gross score of 79. 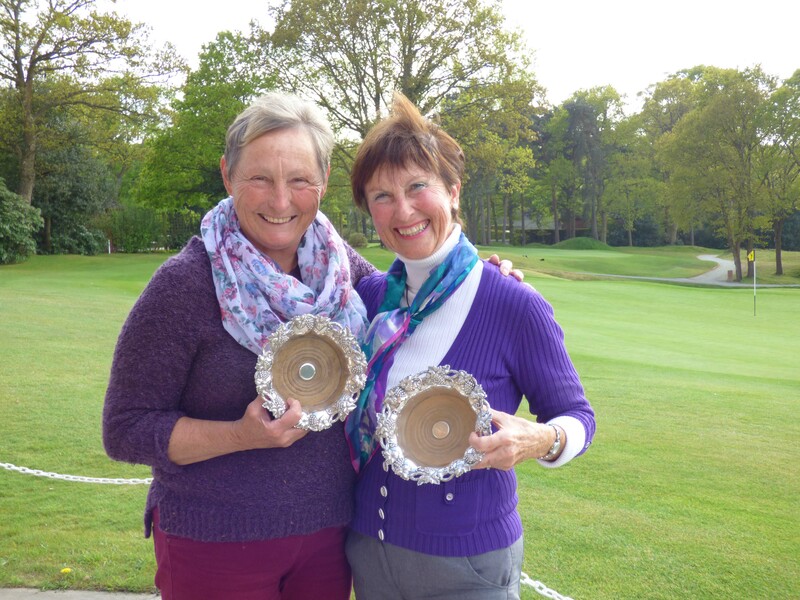 Closely behind were Jill England and Jenny Readman (Meon Valley) with a fantastic gross score of 80. Over in the net competition, there was no beating Moya Abbott and Jilly Wehbeh from Royal Winchester who recorded an amazing 68.5. 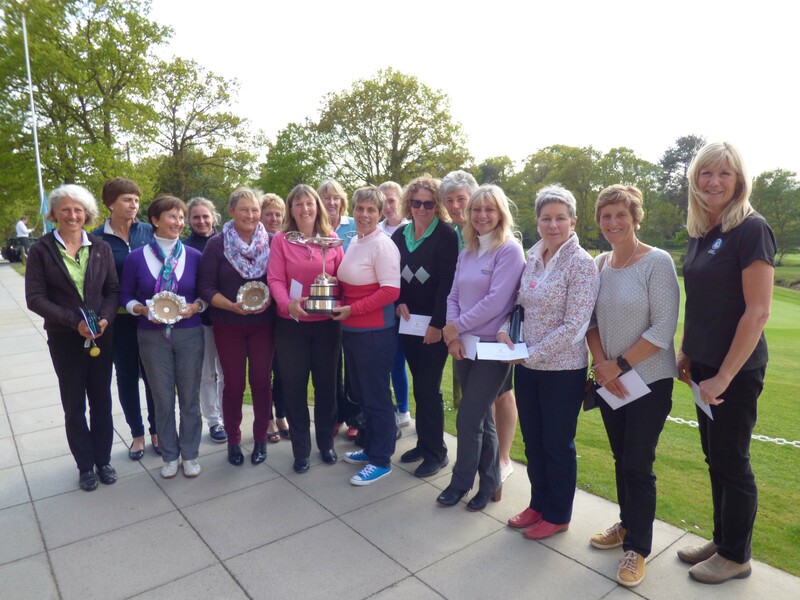 Runners up this year were Elaine Barrow and Sue Randall (Brokenhurst Manor) who beat Yvonne De Mellow and Debbie Tapply (Rowlands Castle) on count back with a net score of 72.